The real question is not whether the fold exists, but how people scroll. 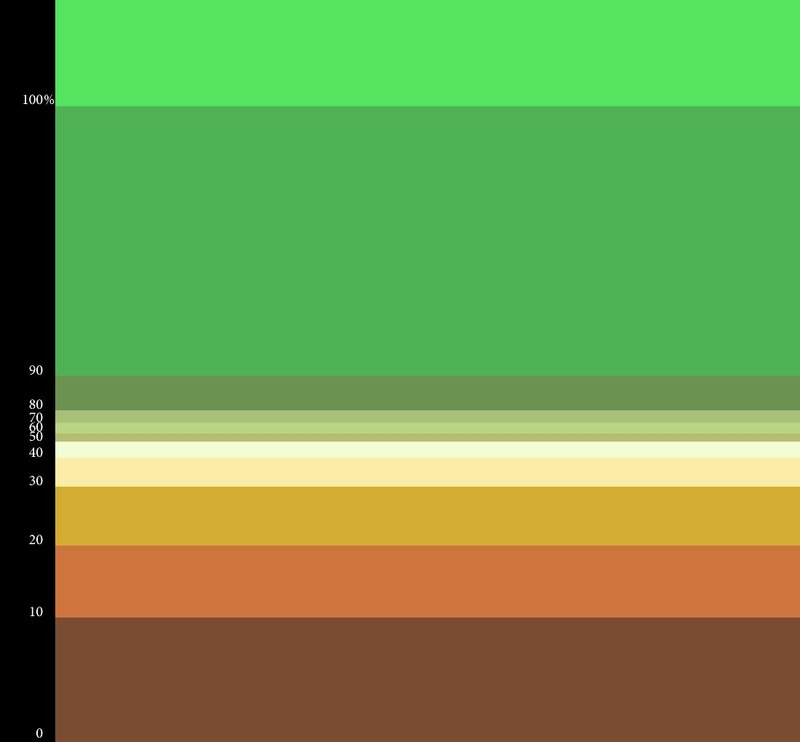 This image is overlaid with percentiles of browser heights. The 100th percentile means that effectively 100% of users will see that without scrolling. 0th percentile marks the point where no user (based on the sample) will see the content. Download a JPEG of the fold percentages overlay with no site behind it. This is intended to be a discussion point, design tool, and client demonstration. Clients requesting design changes to avoid the fold often do not realize the reality of browser sizes and base their instincts on personal experience, anecdotes, or even obsolete knowledge of the industry. Realistically, this study should be re-executed regularly to assess how the browser sizes have changed. Mobile browsing, PDAs, increasing screen sizes, etc. are all rapidly changing factors that will affect where the fold lives. 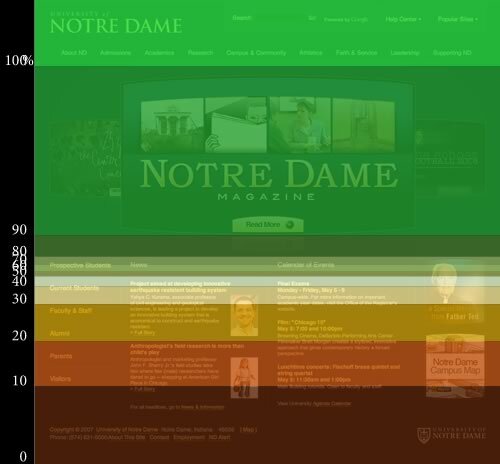 Assessed from 415,927 page loads on the nd.edu homepage from 4/28/2008 to 5/8/2008. These include duplicate page loads. These exclude any 0 height page loads, based on the presumption that this is irrelevant (robots/spiders) or impossible (poltergeists).